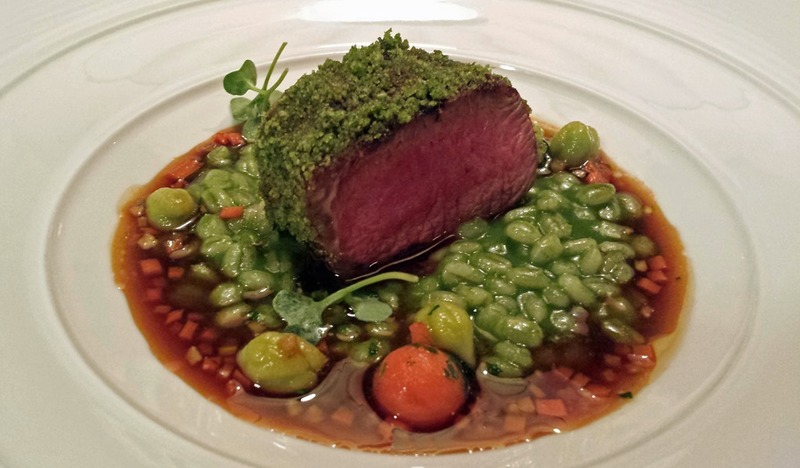 I have been putting this post off for some time only because it is hard to find words to describe a dining experience at The Inn at Little Washington. We had been before on our 10th wedding anniversary and had a memorable time. Our plans to go again 15 years later for our 25th anniversary were delightfully interrupted when our dear friend Terry surprised us with a gift certificate for dinner. There was no waiting for our 25th to roll around, it was time to go again. 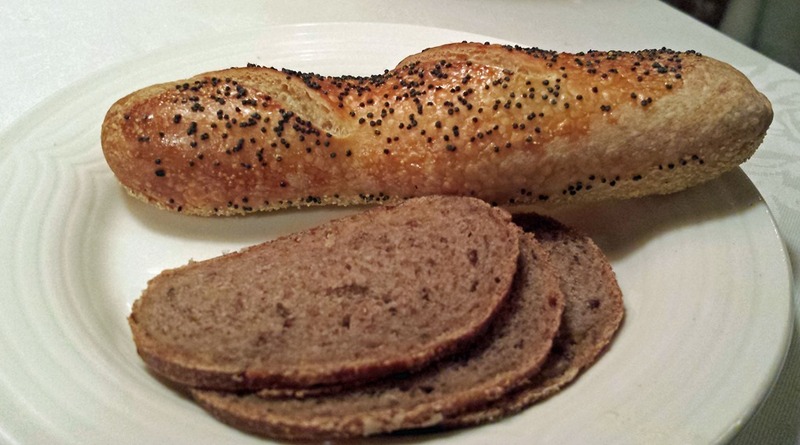 The most important thing to know about dinner at the Inn at Little Washington is that everything is perfect. 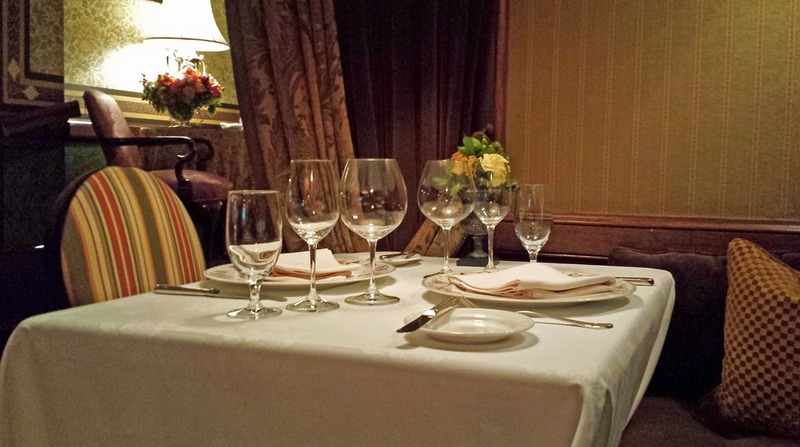 From the reservationist to the valet a culture of excellence fills your visit. The food and service are extraordinary. No detail is over looked and any request is fulfilled by staff as if it were second nature. 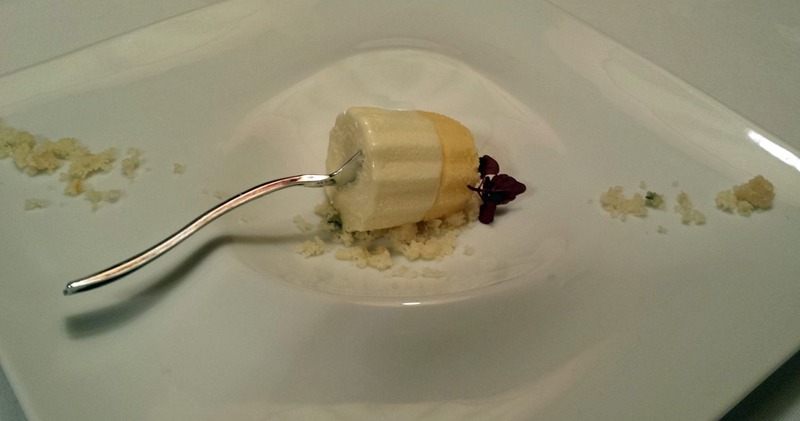 I am certain that if you asked for shaved buzzard beak instead of freshly grated parmesan the waiter would smile, disappear into the kitchen only to return moments later to say alas, buzzard beak is out of season. 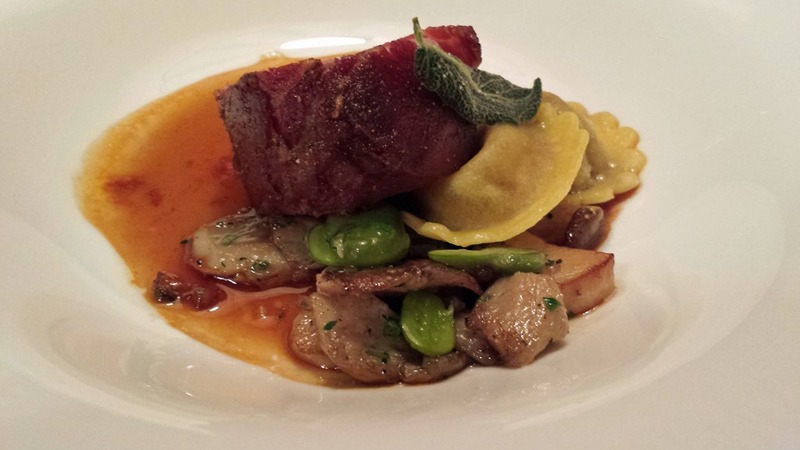 The Inn at Little Washington is a special place for special occasions. It is not inexpensive, and for some it will be the most ever paid for a meal. Figure $475 for dinner and gratuity for 2 people with no drinks. It is worth the price. Ask for a tour of the kitchen. It is beautiful and remarkably well ordered. If you visit in the spring or summer take a walk through the gorgeous gardens day or night. Cozy seating with an old world décor helps minimize the noise so you can actually have a conversation at dinner without shouting. Cucumber wrapped fresh American Salmon Caviar starter from the chef. 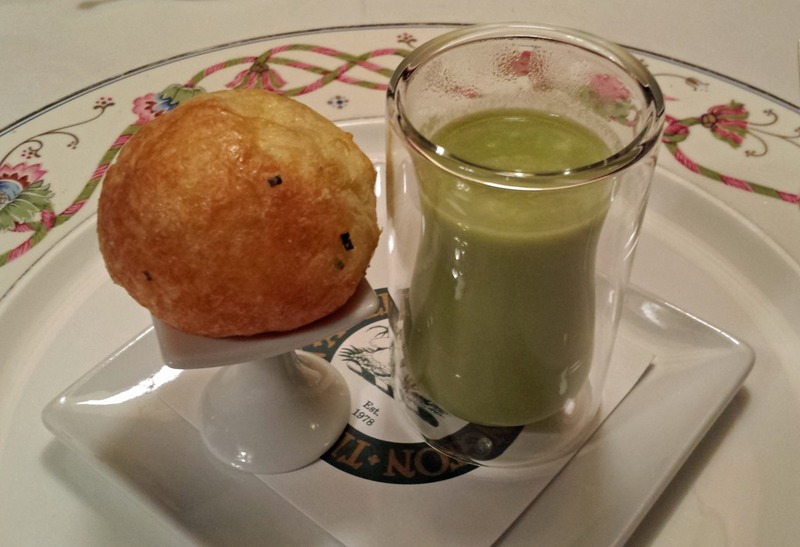 A Chive Gougere and a Shot of Asparagus Soup. 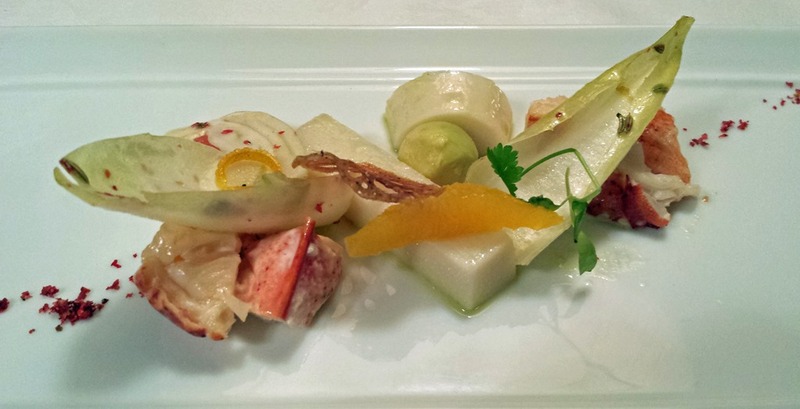 Chilled Maine Lobster Salad with Marinated Hawaiian Heart of Palm. Sashimi of Yellowtail Dusted with Espelette. 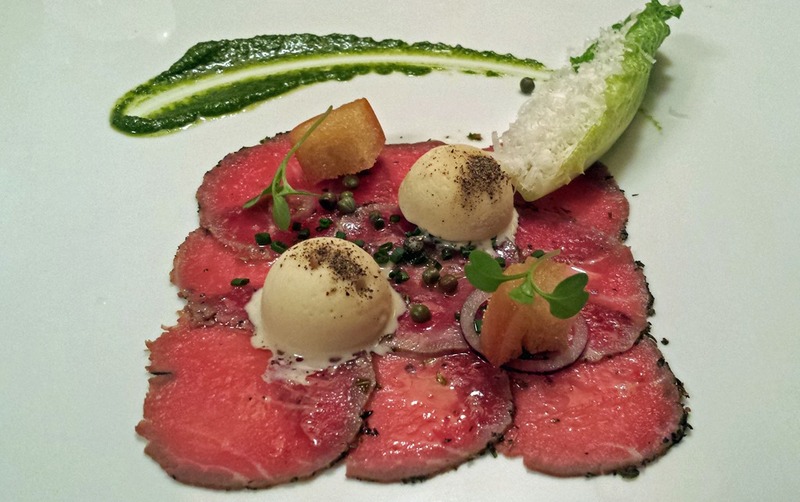 Carpaccio of Herb-Crusted Baby Lamb Loin with Caesar Salad Ice Cream. 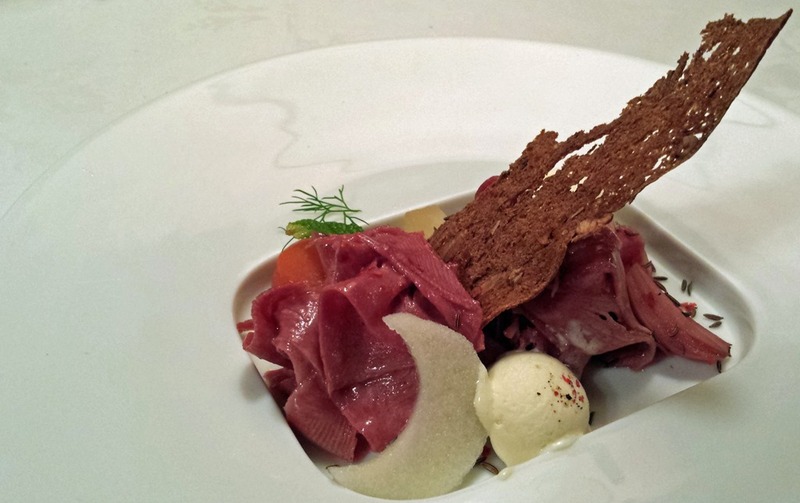 Chilled Veal Tongue with Pickled Root Vegetables and Horseradish Ice Cream. 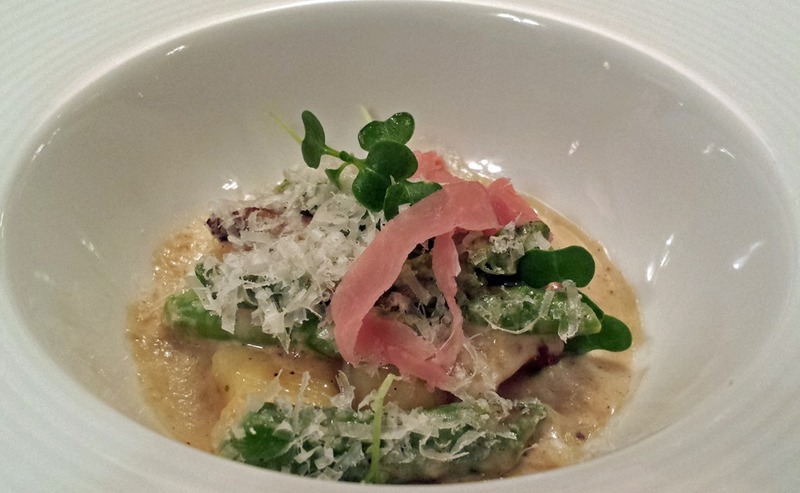 Fricassee of Morels, Potato Gnocchi, and Virginia Country Ham with Asparagus Tips. Miniature Filet of Antarctic Sea Bass with Lemon Vodka Sauce and Lilliputian Shrimp-Pork Dumplings. 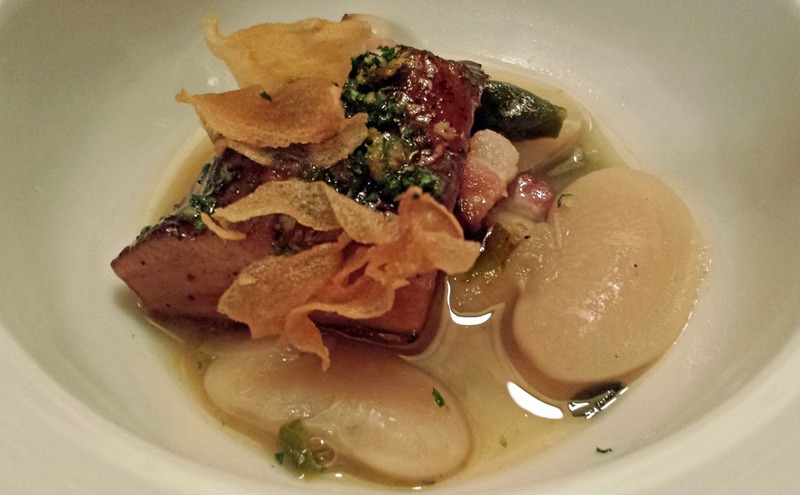 Pork and Beans: Hickory Glazed Kurobuta Pork Jowl with Gigante Beans. 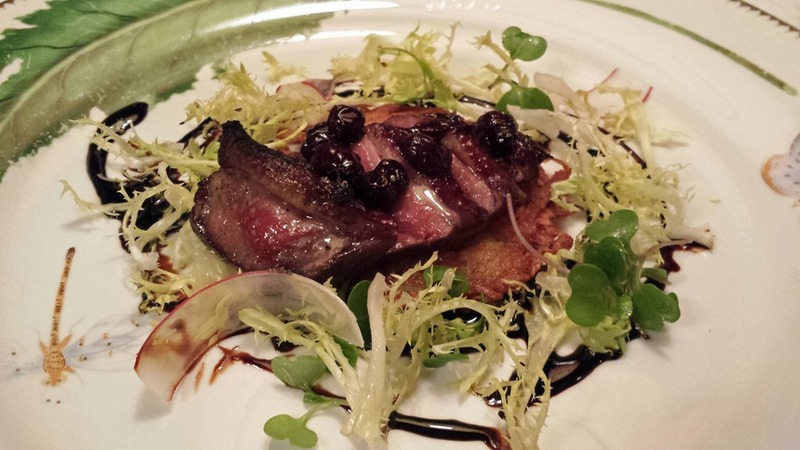 Huckleberry Marinated Squab Breast with a Crispy Potato Galette. 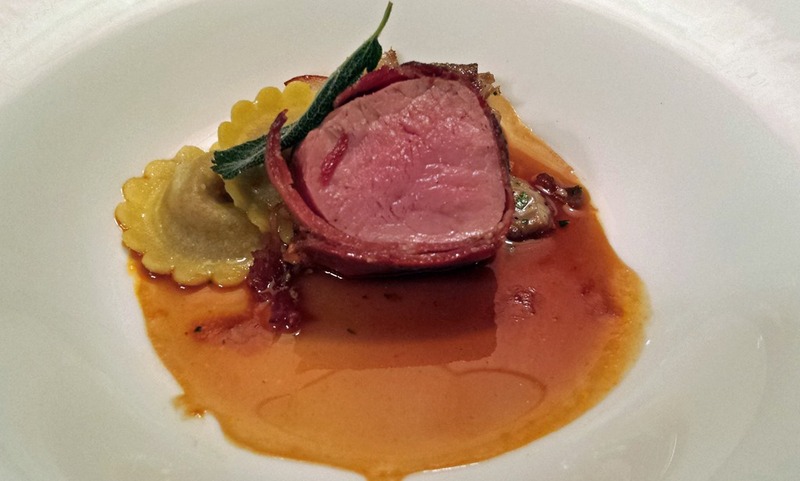 Veal Shenandoah: Local Prosciutto Wrapped Loin of Veal with Country Ham and Fontina Cheese Ravioli. Another view of the Veal Shenandoah. A Strawberry Rhubarb Crisp for my wife. 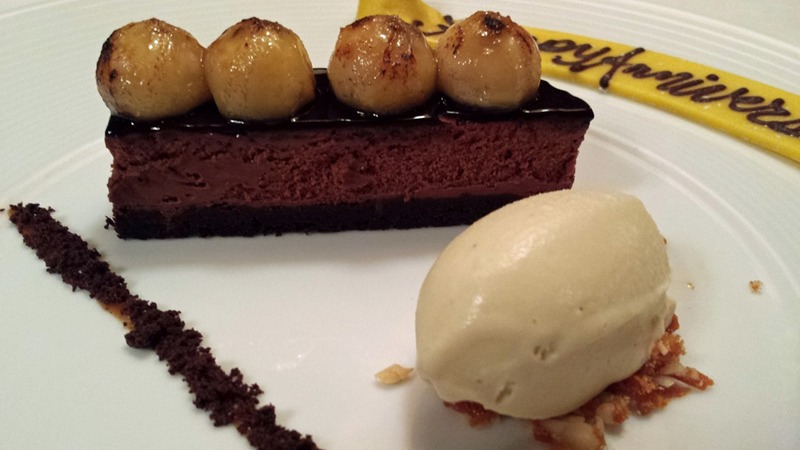 Silky smooth Chocolate Cake for me. Ahhh Lovely. Thanks for the post.